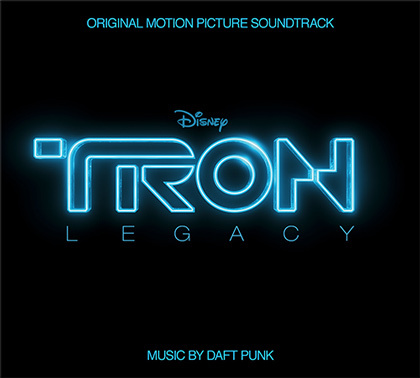 I picked up the Tron: Legacy Soundtrack by Daft Punk, and have been giving it a few listens. It's not bad, although it's far more effective in context during the movie. Most of the soundtrack consists of low, long, rumbling chords driven along by plodding electronic rhythms. Not that that's all that bad... it does set an appropriate mood for the electronic world in the film, and the orchestrations help to add variety and intensity, but overall it just doesn't make for a great album to listen to. It's more of something you'd leave running in the background while doing something else. A lot of the music is very similar, to the point where I'd be hard-pressed to remember which piece went where in the movie. That said, for what it is, it's well-done, and there are a couple of standout tracks on the CD ("End of Line" and "Derezzed"). But what's irritating, are the online-only "exclusive" bonus tracks. I hate that. We had to lock the album like two months before I finished the movie. So, when I was mixing up at Skywalker, the song that I put in the Solar Sailor sequence isn’t even on the album. And then one of the songs we do in the End of Line club we hadn’t even written yet. So there’s a song in the End of Line club, the one where Zeus says “Change this game all to the mood, electrify the boys and girls” the song that kicks in there and goes all the way up to the black guard fight, that song’s not on the album, that’s in the movie only. It’s a really cool song, it’s a really industrial rock kind of pounding. And then the Solar Sailor song, which is one of my favorites, I don’t think is on the album either. Okay... but why does each online outlet have different bonus tracks? I shouldn't have to go to Amazon, iTunes and Ovi (whatever that is - I refuse to sign up to it just for one audio track) to get the complete soundtrack? And even then - I'm still not getting the complete soundtrack. There's supposedly a Special Edition two-disc version of the soundtrack that I only just now found out about (and it's not like I haven't been keeping tabs on Tron: Legacy) while researching this blog entry! How did that happen? Was it some pre-order thing? Besides that, two classic rock songs used prominently in the film (Journey's "Separate Ways" and the Eurythmics' "Sweet Dreams") aren't included anywhere. C'mon... how can you have a Tron soundtrack without Journey?! So I had to pay for the CD, plus three online bonus tracks, plus two more rock tracks (I didn't own those albums), and I still don't have the complete soundtrack, and still won't have it all on CD. If I want it on CD, I have to re-burn it onto another disc (and the downloaded tracks still aren't going to be full-fidelity). Plus, if I do find the Special Edition CD somewhere, I'll likely end up buying that, too. The recording industry is evil. So while I'd give the music that's in the soundtrack CD a solid 6/10, because of all of this stupid "exclusive track" nonsense, and the fact you can't buy a complete version of the soundtrack anywhere, it gets a 4/10. The problem is that you're an early adopter. Just wait 2-3 years until they manage to release a proper CD. In 2-3 years they probably won't even be making CDs anymore. I've (mostly) learned not to be an early adopter with video games. They're just too crazy-expensive now when they're new. In a year, maybe two, they'll be in "Greatest Hits" packaging in the discount bins. In a year, maybe two, they'll be in "Greatest Hits" packaging in the discount bins. All the Special Edition and bonus tracks can be heard here. Until Dizknee takes 'em down. This is total crap. I also bought the regular soundtrack CD and didn't know all these exclusive tracks had been released elsewhere. Also wasn't aware of a limited "Special Edition" that included another CD. Yeah, this sort of thing is really cheesing me off. I recently bought Herb Alpert's latest CD (review coming soon) and there was an iTunes "exclusive" track for that album too. Apparently, the record companies are trying to destroy themselves.